Football has developed its own micro-economic climate over the past two decades with highly-paid players increasingly impervious to the challenging financial circumstances faced by many around the globe. The level of business-led interest in the game, as well as the myriad of lucrative opportunities in the commercial arena, has fostered a generation of footballers bestowed with unimaginable personal fortunes. The Goal Rich List shows just how mind-boggling the figures really are. That dramatic alteration of circumstance has served to create the caricature of the designer headphone-wearing, iPhone-fiddling, Louis Vuitton bag-carrying misanthrope, who is more interested in expanding his car collection than helping those less fortunate to him. But that is not altogether fair. “We live in a very cynical world,” says Clarke Carlisle, the Northampton Town defender and chairman of the Professional Footballers’ Association. “A lot of people can’t do right for doing wrong. This Rich List will go out and people will say, “What are these guys doing with all that money? Do they deserve it? Instead of hoarding their riches and growing ever-more isolated by their wealth, an increasing number of footballers are recognising the disparity that exists between the haves and the have-nots and are seeking to redress the balance through enterprise and endeavour. A point in case can be found in Africa, and specifically in Cote d’Ivoire, where the health care landscape remains bleak following a second civil war. A shortage of clean drinking water and blood for transfusions, as well as a reduction in the effectiveness in the fight against HIV/AIDS, meningitis, leprosy and cholera, tell the story of a spiralling public health crisis. A brief experiment with free health care for all under president Alassane Ouattara was abandoned in January 2012 due to an unmanageable strain on the public purse. Worryingly, the United Nations Office for the Coordination of Humanitarian Affairs (Unocha) has identified prohibitive cost in Cote d’Ivoire as one of the main barriers preventing people in need from receiving treatment. Against that bleak backdrop came the recent intervention from the Kalou brothers, Bonaventure and Salomon. The former Feyenoord and PSG star, and the Lille striker, teamed up to launch Foundation Kalou, through which the football fraternity has donated $600,000 [£400,000] in order to build a centre for kidney dialysis in Bouake, central Cote d’Ivoire. Around 7% of the adult population in the west African nation suffers from HIV/AIDS and that affliction can bring with it severe kidney trouble. Fondation Kalou was established in 2009 with the aim of fortifying health care in Cote d’Ivoire and the centre, which was inaugurated in mid February, boasts 16 dialysers, 14 generators and 20 new computers for staff and administrators. “Patients who require dialysis treatment have to travel great distances across the country. This centre will provide much needed care so people are closer to the treatment they need, and will hopefully save lives,” Salomon said. The Kalous are part of an increasing number of players engaging with communities through philanthropy. Compatriot Emmanuel Eboue has raised over $200,000 (£132,000) for various educational projects in Cote d’Ivoire such as books, scholarships, uniforms and shoes. 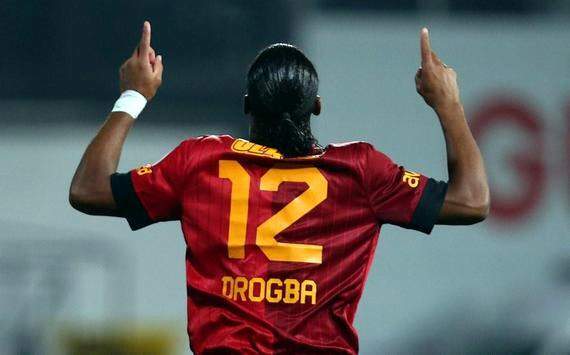 Elsewhere, Elephants team captain Didier Drogba, placed 24th on the Goal.com Rich List, has won worldwide acclaim for his charity work. Through the Didier Drogba Foundation, which is responsible for a range of health care initiatives in Cote d’Ivoire, the former Chelsea striker has funded vital work from his own pocket. The Galatasaray forward is known to donate all commercial income from brands such as Nike and Pepsi to his foundation for distribution among charity projects, and is regarded as a hero at home. Indeed, all around the Goal.com Rich List, there are numerous examples of players using their profiles and their vast wealth to tailor and execute charity projects all over the world. The Samuel Eto’o Foundation works primarily with children in west Africa, providing health care and encouraging education as well as promoting social inclusion through sport. The Michael Essien Foundation strives to provide basic infrastructure, such as clean drinking water, public toilets and libraries to the ‘underprivileged’ around his hometown of Awutu Breku, Ghana. The building of a borehole was of particular, poignant concern for Essien, who lost an older brother to a tragic accident while fetching water for the family. The Foundation also teaches basic skills aimed at empowering women; that part is in honour of his mother, who he describes as “the pillar behind me”. Cynics attempting to paint the 37-year-old’s generosity as an elaborate tax dodge or publicity stunt would do well to look into the little-publicised Victoria and David Beckham Charitable Trust which has supported initiatives for sick and disabled children. Elsewhere, Clarence Seedorf recently financed construction of the Clarence Seedorf Stadium in Para, Suriname, while his Champions for Children projects have earned him civil honours at home and also in the Netherlands. Lionel Messi is one of Unicef’s most high-profile ambassadors while Cristiano Ronaldo has been active in canvassing for Save the Children. The Real Madrid superstar donated £100,000 to fund a cancer centre in his native Madeira after doctors treated his mother for the illness there. Ronaldo has also been involved in extensive rehabilitation work in the province of Aceh, Indonesia, following the devastating 2004 tsunami. And both players have also taken up Fifa’s ’11 for Health’ cause which aims to improve children’s knowledge, attitude and behaviour towards disease in the developing world. Indeed, we are living in an age where the profiles of elite footballers are such that they are no longer regarded as simply sportsmen – they are viewed as trend-setters, celebrities, icons, and perhaps most pertinent of all – role models. Our interest in their lives off the pitch means that when they have fallen short of our expectations or the standards ‘public life’ demands, the media is quick to jump on their indiscretions. But it is also worth looking at the other side of the coin, specifically at how football stars are using their profiles and fortunes to make a positive difference to the causes that matter to them, because it can bring so much more satisfaction.